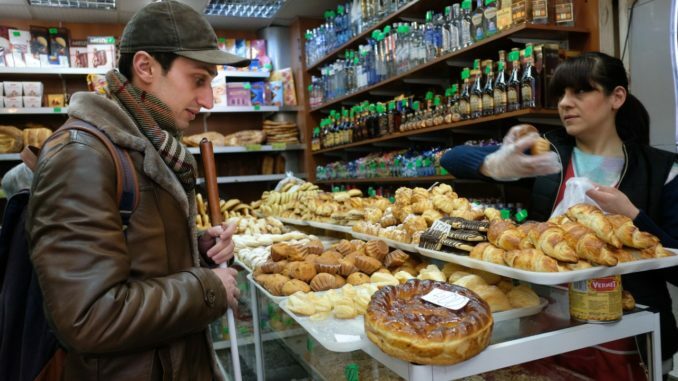 “One day, my mom asked my to buy some bread from the store – I had been waiting for a moment like this for a long time,” admits Sipan from Armenia, who has been visually impaired since early childhood. Sipan is one of around 16.5 million people with disabilities in Eastern Europe and Central Asia who strive for more comfortable, dignified and fulfilling lives. People with disabilities are still among the most marginalized groups across the region. Policies and attitudes still perpetuate their exclusion. In post-Socialist countries, charity was traditionally considered an adequate way of improving their quality of life, with needs met in closed, segregated environments such as specialized institutions. In countries like Armenia and Kyrgyzstan, the rate of unemployment for people with disabilities exceeds 90 percent. A vast majority of persons with disabilities in those countries have to rely on external support in order to live a decent life. As a result, many persons with disabilities live in poverty. A shift in attitudes is required to make sure persons with disabilities are the masters of their own future. This means addressing the issue from multiple angles: accessibility, rights, employment and perceptions. Persons with disabilities face numerous visible and invisible barriers. Buying bread, getting a haircut, having a medical checkup or voting can become impossible because of a sidewalk, a staircase or the absence of Braille language. Confronted with these barriers, persons with disabilities often depend on the support of family members. But it doesn’t have to be that way. Around the region, activists and organizations are using technology to make cities accessible for everyone. 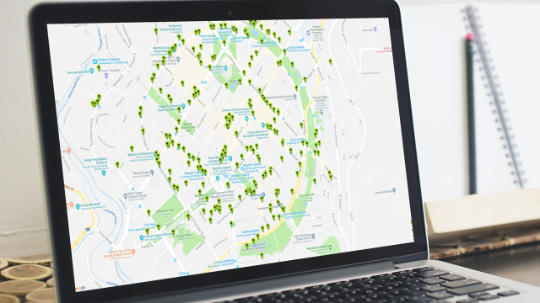 In Armenia, activists like Varuhi Aramyan are collaborating with UNDP to use mapping tools and crowdsourced information in compiling lists of accessibility-friendly locations. The app they developed rates locations and gives awards based on specific user experiences, putting pressure on businesses and public institutions to structure their spaces in a more inclusive manner. Albanian civil society is also taking to the streets with their smartphones to help map accessible urban spaces. 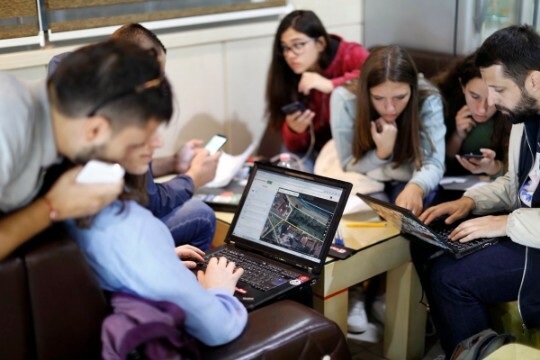 In a recent initiative, young activists in Pogradec gathered data on the accessibility of 85 locations around the city, which was later made available on an online platform. Not all barriers, however, are physical. Access to education and adequate learning materials can also make a difference. “As a child, I went to a regular school. It was very hard to study with kids who could hear. They bullied me,” says Nargul from Turkmenistan, a hearing-impaired student who dropped out of school because of the stigma and difficult learning environment. With support from UNDP, Turkmenistan now has an integrated curriculum, equipped with interactive boards, hearing aids and sign-language translation methods. Attending school next to students with no hearing impairment, Nargul can now pursue her long-time dream of becoming a teacher. Society often assumes that persons with disabilities have “special needs,” an approach which deprives them of a sense of empowerment, dignity and control over their rights. Traditionally excluded, their voices have not always been heard or understood. In the former Yugoslav Republic of Macedonia, 71 percent of respondents without disabilities say they do not have any close friends with disabilities. 67 percent of respondents with disabilities have faced discrimination in medical institutions. Activists from Tirana to Bishkek are speaking out publicly and raising awareness of their rights. Mariam Mikiashvili, an activist and working mother from Georgia, lost her eyesight when she was two. Today, she leads an NGO that advocates for universal design, a concept that aims to make objects, processes and spaces usable for everyone. One of their initiatives, done in collaboration with UNDP, helped equip the Justice House in Tbilisi with tactile pathways. Activists like Mariam help ensure governments provide services for everyone. That includes making legal materials like consititutions and voting information accessible. In Moldova, an extensive information campaign targeting persons with disabilities is under way. Videos and radio shows are helping persons with disabilities learn about how voting works and the importance of their voice as citizens. Still, across the region, different types of infrastructure are required to accommodate different types of disabilities. Sign language and Braille are essential communication tools for hearing- or visually- impaired people, but remain insufficiently used. 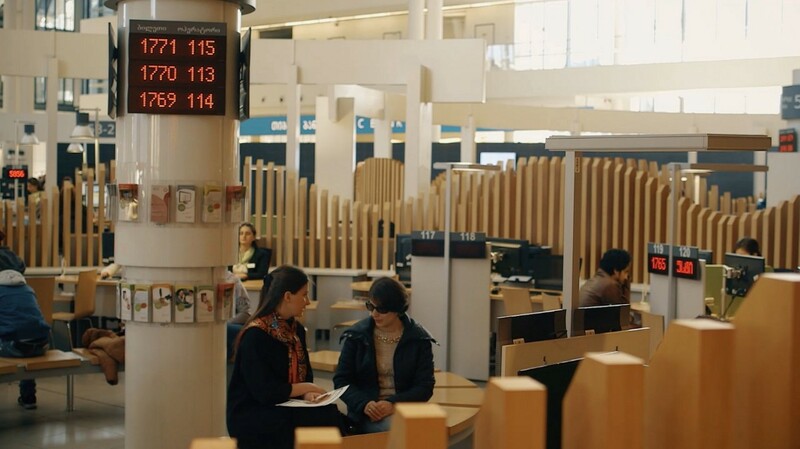 In Kyrgyzstan, for instance, the vast majority of the country’s 9,000 hearing- or visually-impaired people have no access to higher education. Only a few qualified sign language interpreters work in the country, and material in Braille is scarce both in terms of quantity and quality. 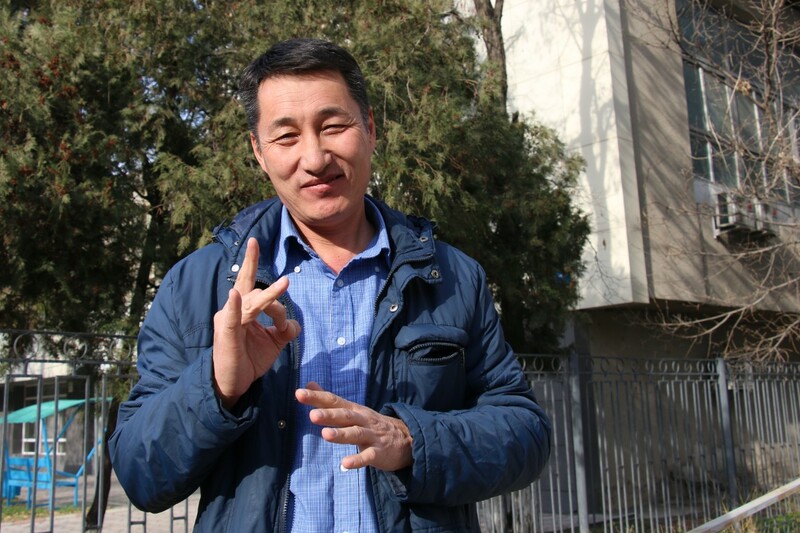 “We have read almost all available books in Braille because there aren’t that many altogether,” says Akpar, a visually-impaired law lecturer at a Bishkek university. UNDP is helping transcribe legal codes, procedures and educational material to Braille and helped produce a video series on civil and legal topics that explain the justice system. For many persons with disabilities, employment is a key to empowerment and self-sufficiency, but having a fulfilling career often remains just a dream. Employers frequently dismiss applicants with disabilities as incompetent, or give them lower salaries. Some laws have a category for “permanently disabled” while in reality many can live productive lives. 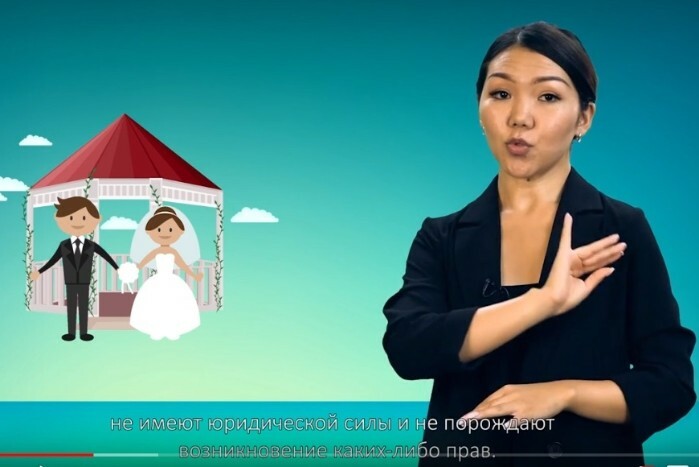 In Kyrgyzstan, 71 percent of the people who hired persons with disabilities expressed discriminatory attitudes towards them. But the tide is shifting. UNDP cooperates with governments across the region to spark a spirit of entrepreneurship among the disabled community. In the former Yugoslav Republic of Macedonia, a self-employment program for persons with disabilities in underway. Since the launch of the project in 2015, 163 businesses have been registered by people with disabilities. Borce Atanasovski is one of them. After spending 34 years in an institution for people with intellectual disabilities, he is now working as a tailor and teacher at a local day care. He is completely autonomous. Inclusion and empowerment of persons with disabilities in society requires a shift in attitudes. The community of persons with disabilities is not homogenous. The is no “one-size-fits-all” formula that can pave the way for inclusion. It is necessary to realize the diverse needs and acknowledge the strengths of persons with disabilities. The traditional top-down, institutional approach to disability rights deprives the community of opportunities and dignity. Societies need to adjust their social norms to meet the needs of persons with disabilities. Removing barriers to accessibility, amplifying their rights and fostering employment opportunities paves the way to a more dignified, inclusive and bright future for a determined community.